We are now at full capacity for Summer Season 2018/19. If you would like to be notified in the event of a last minute opening please register your interest by clicking on the green register now button below. Please note you will only be contacted if a position becomes available. $320 for New Go players who did not play in winter. 1. Pay with credit card through the Blue Jays site at time of registration. 3. Payment Plan. 20% deposit required up front. We offer weekly or fortnightly payments plans. Final payment due by 2nd October 2018, so the earlier you start your plan, the longer you will have to pay. Payments are taken out on Tuesday, we cannot change this as we use a 3rd party system to administer the plans. Payment plans can be set up at registration by using the payment plan option. ALL PLAYERS REGARDLESS OF YEAR BORN STILL NEED TO ATTEND THE UNIFORM FITTING DAY ON 4TH AUGUST TO TRY ON AND ORDER UNIFORMS. Blue Jays offer the GO component only. This is for players born 2008 and 2009. Players born in 2008 and 2009 can register for GO at anytime from the 4th - 20th August. Players born 2010 can only join GO this season if they have already completed the SET component of the program. If you have completed SET you can only register with us on the following dates: 18th & 19th of August. Our registration portal will open on our homepage on the 4th August to the 20th August. 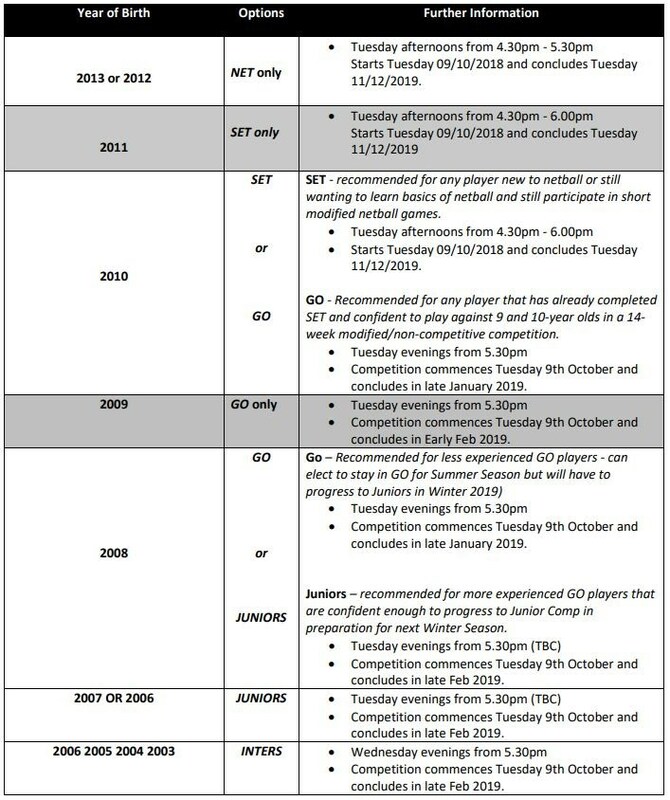 Players born 2011 or later (or 2010 and haven't yet completed the SET program) you need to register via the Brisbane Netball Association (BNA) portal, link provided below. Round 12 of the Queensland Government’sGet Started Vouchers program opens at 8.00 am, Wednesday 25 July 2018. 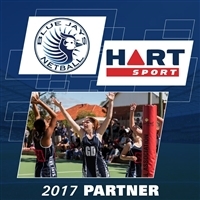 The program, which opens in January and July each year, assists children and young people who can least afford to join a sport or active recreation club. Parents/carers/guardians of eligible children and young people can apply online for a voucher valued up to $150, which can be redeemed at a registered sport or recreation club to contribute towards the cost of sport or active recreation membership/participation fees. There is one voucher available per eligible child per calendar year. · are identified by a registered referral agent e.g. School Principal, Child Safety Officer. How to apply? Prepare before the round opens. Follow the instructions to ‘Create a QGrants account’, or if you have one already, check that you can still login to your QGrants account. Make a note of your account details so you are ready to apply when the round opens. Before you apply for a voucher, check the club locator to find a registered Get Started Voucher club your child would like to join. Contact the club to find out details including fees and any additional costs and equipment required. · When the round is open, visit our webpage to apply. The first day of opening is usually very busy, and you may experience technical issues when applying. If you do, please try again over the next 24 – 48 hours. If you do not have access to a computer/internet, visit your local library for assistance. · Please only apply for a voucher if it will be presented to a registered club by 16 November 2018. If you have any specific questions about the program then please email the team atgetstarted@npsr.qld.gov.au.